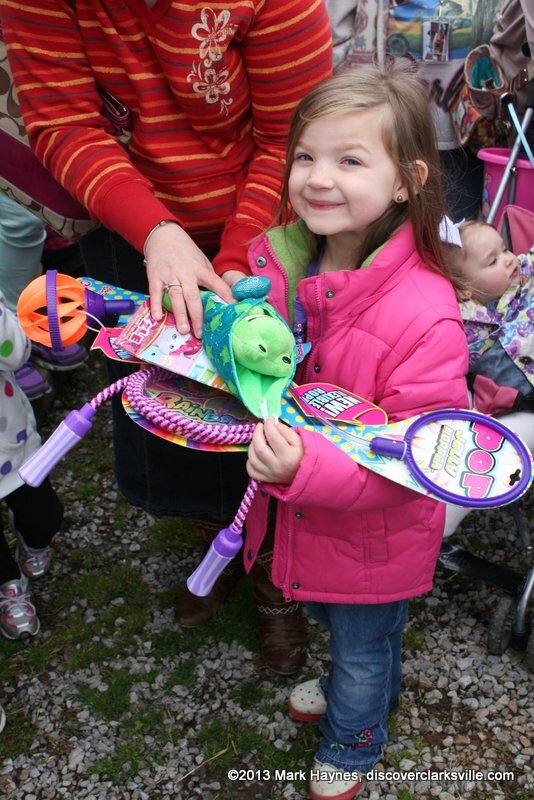 Clarksville, TN – Hilltop Supermarket held their 19th Annual Easter Egg Hunt Saturday, March 30th. The event kicked off at 11:00am with activities such as inflatables, face painting, cupcake decorating and more. The Cunningham Volunteer Fire Department was selling hotdogs, hamburgers, etc. Homestead BBQ & More from Hopkinsville, KY came to the event and was selling their award winning barbeque. Central Pizza was also there giving away free slices. Kids had a lot of fun at the 18th Annual Hilltop Supermarket Easter Egg Hunt Saturday. The Easter egg hunt was broken down into four groups; up to 4 year olds, 5 to 6 year olds, 7 to 9 year olds and the 10 to 12 year old group. There were 5,000-6,000 easter eggs on the fields waiting for the kids to gather them up. 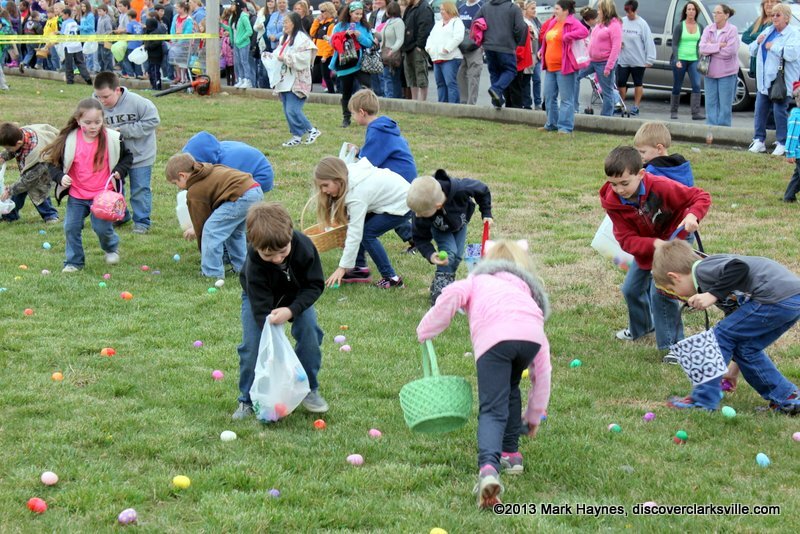 Over 400 children lined up along the fields waiting for 2:00pm to arrive so they could start grabbing some eggs. However, around 1:44pm, an adult in the crowd yelled “Go” and several kids ran onto the field. Before they could be stopped more children surged onto the field and the event was started before everyone had arrived. A happy child with her prizes from the hunt. By 1:50pm, the easter egg hunt was over, 10 minutes before the official start time. Several parents with their children arrived just to see the hunt end. One disappointed couple had driven down from Pleasant View, TN. It was just an unforeseeable, unfortunate thing that happened. After the hunt was over, children and parents alike were opening the plastic eggs to see what they had gotten. The eggs contained different types of items from candy to prize tickets. There was one grand prize ticket in each group. 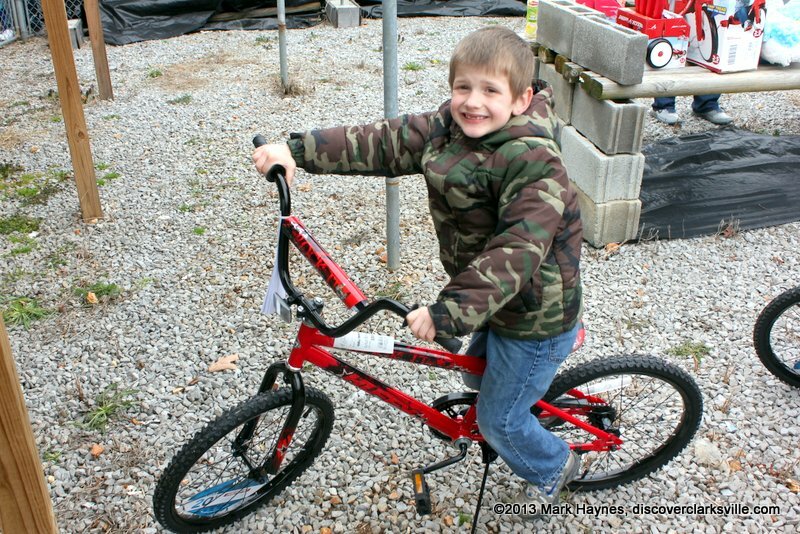 A lucky boy won a mountain bike. No event of this size can be pulled off without a lot of help. Hilltop Supermarket employees and family turned to the local community for volunteers. Montgomery Central Cheerleaders, Cunningham Volunteer Fire Department, Girl Scouts and several young adults all volunteered to help out. 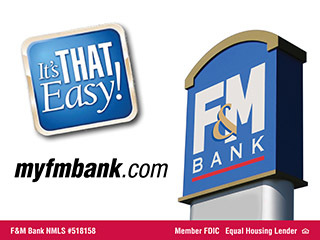 The sponsors for this year’s event were Hilltop Supermarket, B & M Market, Cumberland Bank and Trust, Grandmama’s House of Preschool and Child Care, Coca-Cola, Mark Davis Trucking, U Jumpin’ Folks, Satelite Electronics, Movies N’ More, Joey’s Fireworks, Jimmy Miller Construction, Dad’s Rootbeer and RC Cola. For more photo of the event, please go to the Discover Clarksville Photo Gallery .